CHARLOTTESVILLE, Va., Feb. 15, 2016 -- Northrop Grumman Corporation (NYSE:NOC) recently donated $3,172,500 worth of training software to the Naval Academy Foundation for use at the U.S. Naval Academy, continuing the company's commitment to the educational and professional development of future Navy and Marine Corps officers. The company donated 135 licenses of its recently upgraded Voyage Management System (VMS) software to the U. S. Naval Academy Foundation for midshipman training. 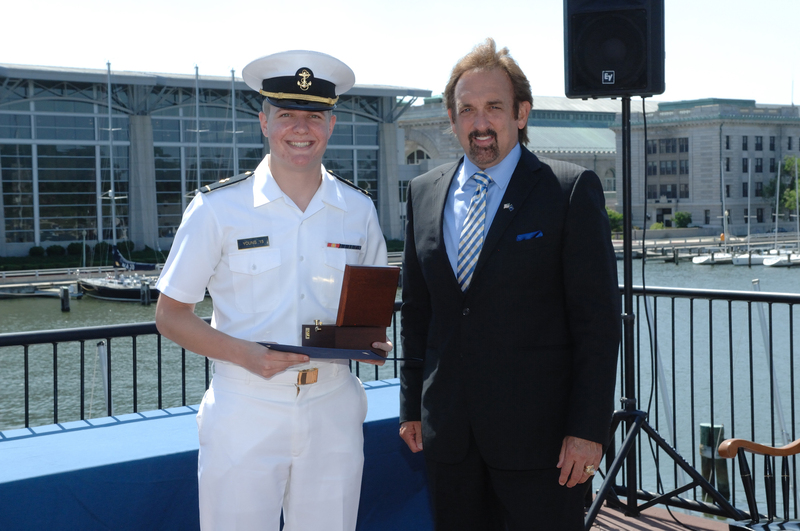 The company also presented the Elmer A. Sperry Junior Navigator of the Year Award to Ensign Eric Young '15, USN. The award recognizes a member of the 2015 graduating class who demonstrated outstanding navigating skills and knowledge during his or her four years at the academy. "Northrop Grumman is pleased and honored to continue our longtime partnership with the Naval Academy through the Naval Academy Foundation," said Todd Leavitt, vice president, Maritime Systems business unit, Northrop Grumman. "It is our privilege to support the talented young men and women who will become this great nation's future warfighters." The VMS software incorporates the latest version of the Electronic Chart Display and Information System-Navy (ECDIS-N) which was selected by the navigator of the U.S. Navy and is now a fleet standard. The donation enables future naval officers to achieve proficiency with the same navigation software on their vessels after they receive their commissions. This software is already installed or under contract for installation on more than 200 U.S. Navy ships, submarines and educational facilities. 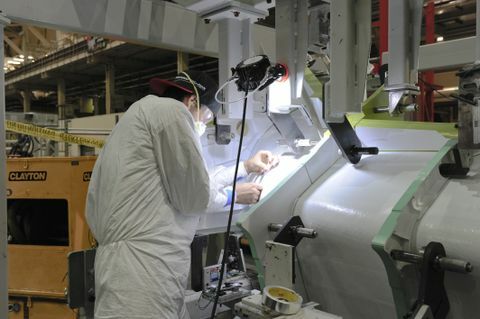 "The support of corporate partners like Northrop Grumman makes it possible for the Academy and the Brigade to benefit from resources, including software, that would otherwise be unavailable to them, greatly enriching the midshipman educational experience," said John Rudder '78, senior director of development for the Naval Academy Foundation. 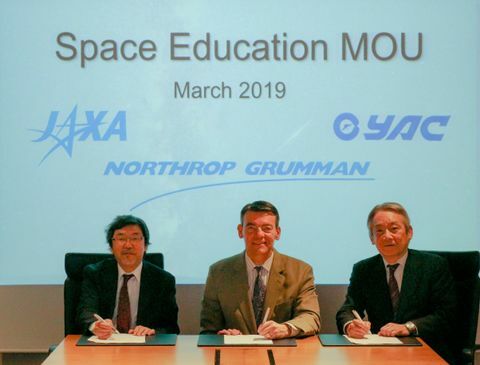 "We are tremendously grateful to Northrop Grumman for their longstanding support of the Academy." Northrop Grumman is the Naval Academy Foundation's largest corporate partner, donating close to $20 million in support of the Academy's strategic priorities. The VMS software donations and the Elmer A. Sperry Award are naval support traditions at Northrop Grumman. This is the sixth year the company has sponsored the Elmer A. Sperry Award. The company originally donated VMS software in 2001 and this year's gift brings the total amount of donated software to more than $17 million. The Elmer A. Sperry Junior Navigator of the Year Award was established by the company to honor Elmer A. Sperry, who founded Sperry Marine (now part of Northrop Grumman) in 1910. Sperry invented the first marine gyrocompass in 1908 and earned more than 350 patents during his career in the maritime industry. The VMS software will be used by midshipmen in the Academy's computer lab, classrooms and underway operations, allowing sailors to learn relevant navigational skills that will enhance their situational awareness while standing watch on the bridge and improving overall safety at sea. The Naval Academy Foundation strives to support, promote and advance the mission of the Naval Academy by working in conjunction with Academy leadership to identify strategic institutional priorities, and by raising, managing and disbursing private gift funds that provide a margin of excellence in support of the nation's premier leadership institution.